Donnie “Don” Reider, age 73, entered into rest on October 1, 2018. He was born in McKinney, Texas to James K. and Billie F. (Dunafan) Reider on Tuesday, December 12, 1944. Don was a loving husband, father, grandfather, great grandfather and true friend. He will be remembered for the true cowboy and hunter that he was. 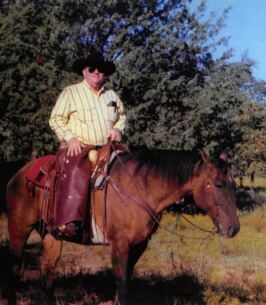 Don enjoyed the outdoors and spending time with horses. He was a member of the Cattleman’s Association and various Rodeo Clubs. He is preceded in death by both parents and son Donnie Ray Reider Jr.; left to cherish his memory is his loving wife of 58 years, Randy Reider; daughter Emily Pettway and husband Mark; grandchildren Johnny Pettway and Bailey Pettway; great granddaughter Hadlee Jo Pettway; brother Norman Coalson; brother Jackie Reider along with numerous extended family and loving friends. A memorial service to celebrate a life well lived, will be held 2:00pm, Friday, October 19, 2018 at Brown’s Memorial Funeral Home, 707 N. MacArthur Blvd in Irving. To send flowers to the family of Donnie "Don" Reider, please visit our Heartfelt Sympathies Store.